In 1859 Camillo Benso Count of Cavour, a politician and Italian entrepreneur, was the President of the Ministers of the Kingdom of Sardinia while the Head of State, at that time was Vittorio Emanuele II. As Foreign Minister, in 1855, he signed the final adherence of the Kingdom of Sardinia to the Angle-French treaty and after declaring war on Russia he sent the Piedmont forces to Crimea. Exactly at the same time an English nurse moved from Britain to Crimea to take her help to the thousands of the British casualties who needed treatment because of the war. 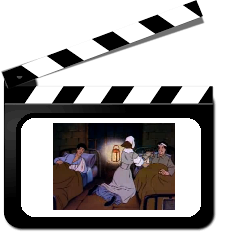 This volunteer nurse was Florence Nightingale, also known as “The lady with the La mp”. In 1859 Florence wrote “Notes on Nursing “. This book became the cornerstone of the curriculum at the Nightingale School and other nursing schools. In 1859 she was also elected first female member of the Royal Statistic Society and must be considered one of the most outstanding women in history for her comprehensive statistical study of sanitation, which revolutionised the service of nursing and the treatment of patients. Born in 1820 to a wealthy family, Florence was educated at home by her father. Despite her parents’ disapproval, Florence trained to be a nurse which was not seen as a “respectable” profession. In 1853 the Crimea War broke out. News of the British casualties appeared in the press reporting that wounded lacked even the most basic of first aid treatment. 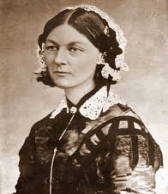 Later in 1855, Florence Nightingale was asked to travel to Crimea and organise a group of nurses and she was so able to put her training into practice. In the beginning, nurses were not allowed to treat dying men; they were only instructed to clean the hospital, but the number of casualties became so overwhelming that the doctors asked Florence and her team of nurses to help. Florence’s attitude included strict discipline for her nurses, who always wore a highly visible uniform. Her scientific approach to nursing increased the standard of service and contributed to a significant decrease in death rates in the hospital. By the time she returned home she had become a national heroine and was decorated with numerous awards including one from Queen Victoria. Florence Nightingale died in 1910 at the age of 90.